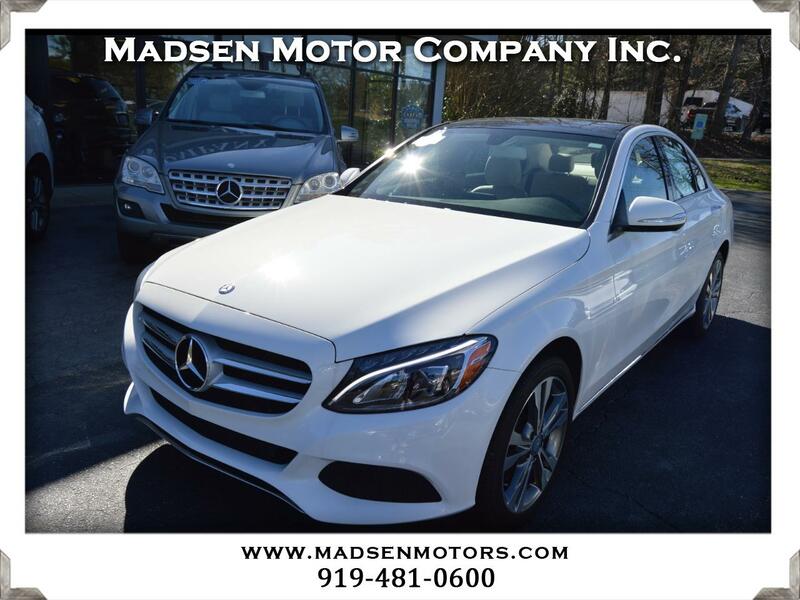 Used 2015 Mercedes-Benz C-Class C300 4MATIC Sedan for Sale in Raleigh, Durham, Cary NC 27511 Madsen Motor Company Inc. Here's a beautiful 2015 Mercedes C300 4MATIC Sedan with only 36,400 miles! This nearly-new example is Polar White with Silk Beige Interior and Linden Wood Trim and comes loaded with options including Rearview Camera, Burmester Premium Sound System, Bluetooth Connectivity, Blind Spot Assist, Navigation System, Panoramic Roof, Heated Front Seats, Dual Zone Climate Control, Collision Warning System with Active Brake Intervention, KEYLESS-GO, Dual Power Seats, and much more. It also comes with a clean, 1-owner CARFAX history and the balance of the Mercedes Factory Warranty until April 29, 2019 or 50,000 miles, whichever comes first. Buy with confidence from Madsen Motor Company - voted ''Best Pre-Owned Car Store'' 4 years in a row in the Best of Cary awards!